Though he has spent most of his life preparing for a career in music, Chris Duncan (who uses "C Duncan" as his stage name) was nonetheless surprised by how quickly he realized his potential. Raised in Glasgow by classical musician parents, he'd been working on songs since his teenage years, further honing his craft while earning degrees in composition at The Royal Conservatoire of Scotland. By the time he gathered the courage to send a gently tumbling pop ballad titled "Four" to FatCat Records, he had cultivated the ability to craft elaborately arranged pop songs, but not the confidence to believe anyone would care about them. Much to his surprise, the folks at FatCat were instant fans, signing Duncan immediately and offering to put out his debut once he finished it. Architect, a delicately layered set of swooning pop songs that Duncan recorded in his bedroom, would become that album. "My degrees come in a lot handier than I thought they would," says the soft-spoken 26-year-old before a gig in north London. "The way I approach writing in terms of pop music is very similar to the way I was writing classical music, a similar way in hearing things. My approach with classical music, as well as pop music, starts with melody and then seeing what you can do with it and work out different ways to structure it and harmonize. It feels similar to a classical piece of music, but at the end of it you have a finished product. With a classical piece, you have to wait for an orchestra to play it." 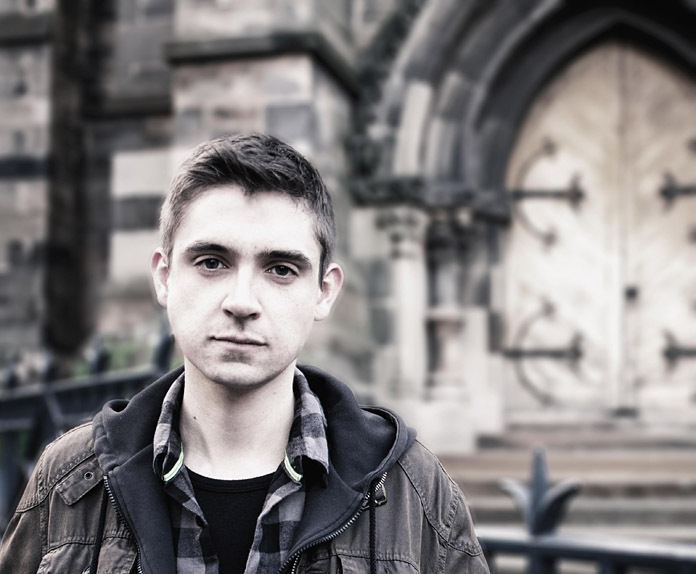 Duncan's pop songs found an instant audience, however, and Architect won him favorable comparisons to Grizzly Bear and Fleet Foxes and earned a coveted Mercury Prize nomination. Again, Duncan was taken aback. Making Architect had been an exhausting construction project, with so many layers of harmonies and melodies that his overtaxed computer gave out several times during the recording process. He had no idea how he'd ever perform the songs live, but he believed in his material. He just wasn't sure the mashup of genre-less pop styles would make sense to anyone else. "About halfway through the album, I thought, 'Oh, God, I need to work out the styles on this album,'" he recalls. "But then I thought, 'Well, no, I've experimented and I'm going to keep doing that and make a collection of songs, as opposed to an album that has a certain sound from start to end.' It was really good for me, actually. Certainly when starting the second album, I've gone through a lot of different styles and I've settled now on something I want to do through a whole album." Having read that certain musicians have found themselves unnerved by their Mercury Prize nod, tailoring their work to the perceived proclivities of the jurors in hopes of a second nomination, Duncan wasted no time jumping into the recording process for his second album. This time around, with a backing band assembled and his first U.S. tour looming in the future, he is ready for his first reinvention. "I've now finished the second album, and it's quite a lot more electronic than the first one," he explains. "It's not a dance record or anything, but it's downtempo electronic, dreamy stuff. That was kind of what I was trying to go for with the first album, but I wasn't experienced enough when it came to recording," he says with a laugh. "I'm gradually getting an idea of the style that I'm interested in making."